F.B.Norton Worcester Ma. 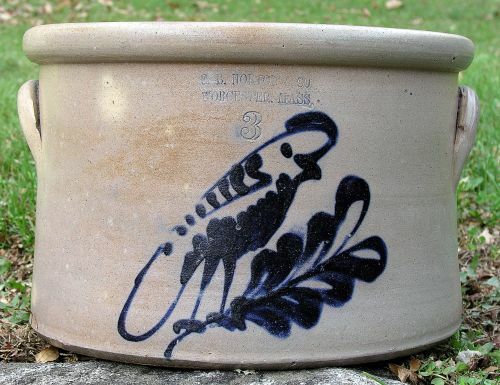 stoneware cake crock with large fat Parrot on branch. Rare cake crock form with colorful Parrot decoration in very good condition. Dimensions: Measures 12.75" across the top X 8" tall.